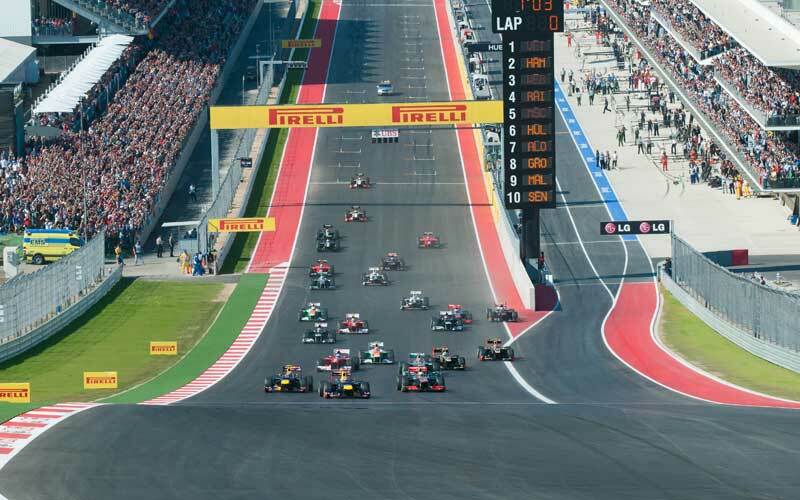 Attend the 2019 United States Formula 1 Grand Prix in Style! Want to go to The 2019 United States Formula 1 Grand Prix? The 2019 Formula One season is scheduled to be the 69th season of the Federation International Automobile (FIA) Formula One World Championship, a motor racing championship for Formula One cars which is recognized by the sport’s governing body, the FIA, as the highest class of competition for open-wheel racing cars. Teams and drivers are scheduled to compete in twenty Grands Prix—starting in Australia on 26 March and ending in Abu Dhabi on 26 November—for the World Drivers’ and World Constructors’ championships. Circuit Of The Americas is a multi-purpose facility that will host the most prestigious racing events in the world, including the Formula 1 United States Grand Prix™. It is the first purpose-built Grand Prix facility in the U.S. Built around a state-of-the-art 3.4-mile circuit track with capacity for 120,000 fans and an elevation change of 133 feet, the facility is designed for any and all classes of racing – from motor power, to human power. Circuit of The Americas is ideally situated on a 1000-acre site in southeast Austin, approximately two miles from Austin Bergstrom International Airport, with scenic views of downtown. Millionaire’s Concierge can get you to the United States in style. Have a vacation that you won’t forget! Enjoy VIP access, lavish accommodations, luxury transportation, prime seating and much more… All while taking in the best the that Austin Texas has to offer. Why should the races be the only exciting element of your 2017 United States Grand Prix experience? When you enlist the services of Millionaire’s Concierge, we can arrange world-class hospitality before and after each race. The United States Grand Prix is an annual race that takes place in October. In order to accommodate you, please provide us notice of at least a three months in advance.